We've divided our class time between our Christmas cards and all-occasion cards. We've also spent some time with our new Stampin' Blends pens. (I love how the ink just flows out onto your cardstock!) We also experimented with the new Embossing Paste with wonderful results. So easy to use and such pretty effects from any of the beautiful masks that are available. 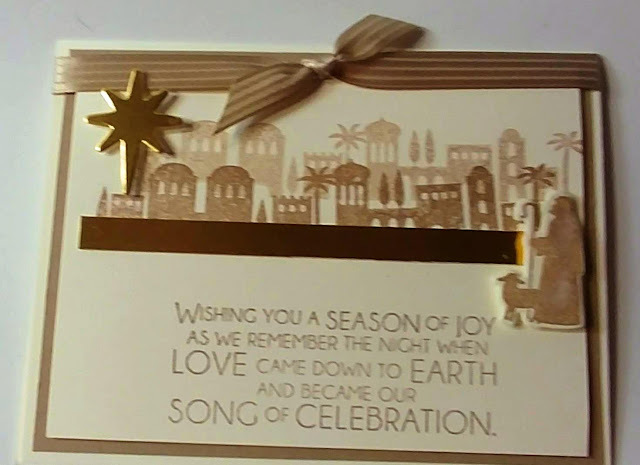 But first, we made this pretty, stamped off Bethlehem city card with one stamp pad, Crumb Cake, 2 tiny framelits and a little satin stripe ribbon. Quick and easy for sure! Here is our sweet card with the Embossing Paste accent and just a tiny bit of the Whole Lot of Lovely. Love our little flower. We teased our two flowers into 4 layers by using a bone folder, a sharp fingernail and a little patience. Oops! I would photograph the one with a crooked sentiment! Shows we're all human, right? :) An easy fix for sure! I have to admit to being wild about the Seasonal Chums stamps, especially this cute little reindeer. 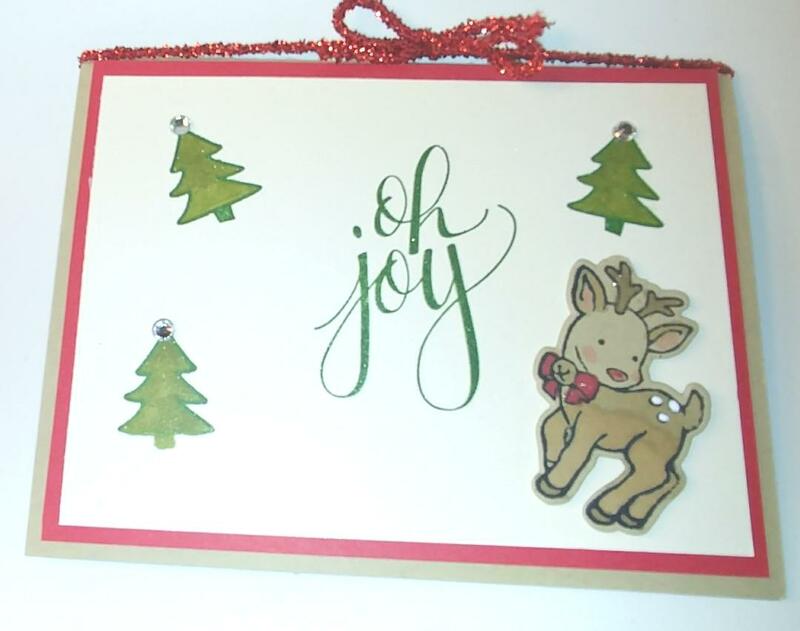 The other stamp set is Watercolor Christmas. 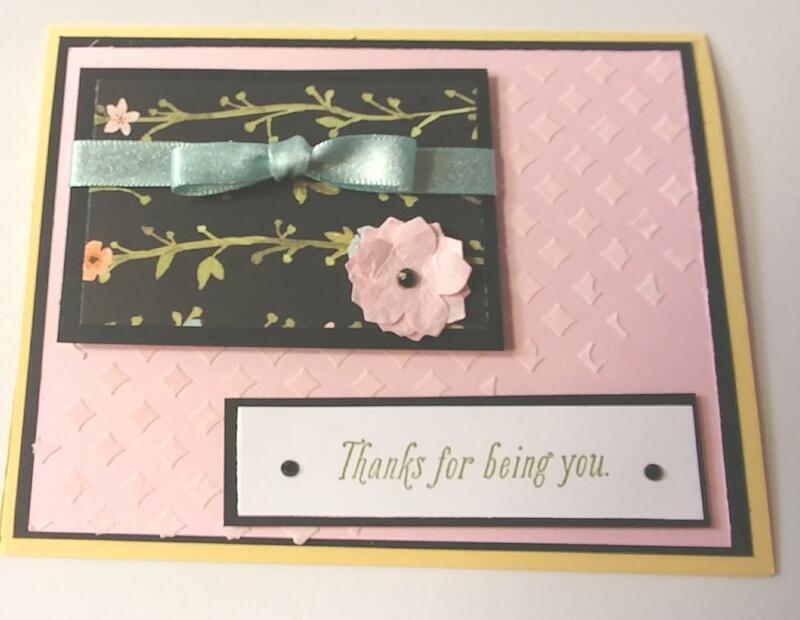 We experimented with our Stampin' Blends on this one. You can't see it but we used Shimmer White paper. It has a distinct razzle dazzle to it that coordinates with the Wink of Stella we used on our reindeer and trees. 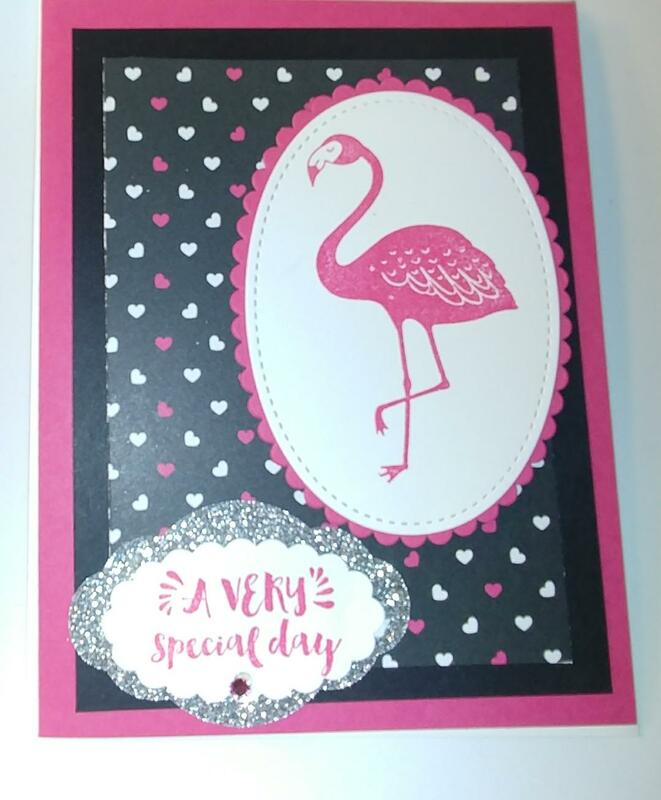 We Florida gals never pass up an opportunity to use a flamingo stamp. Love the Pop of Color Designer Series Paper too! Melon Mambo and just a touch of Silver Glimmer Paper and the Pretty Label Punch.